Marimekko’s courageous, positive and empowering way of life is translated into the eyewear collection through iconic prints and a unique colour palette celebrating the art of print making. The love of nature has inspired brushed wood effect finishing, while Marimekko’s timeless dialogue between colours comes alive through the play of contrasts with palettes and materials. 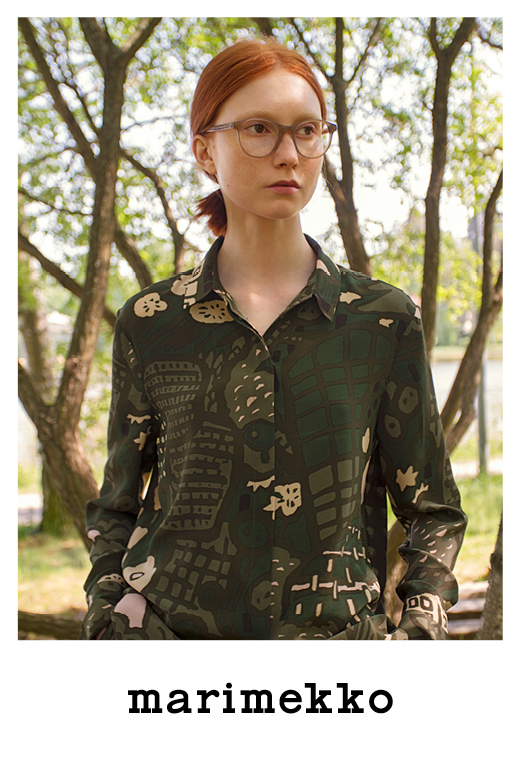 The Marimekko optical collection of 11 fresh and exuberant styles, each originally named after typical Finnish female names: daring shapes, thick temples and laser engraved branding for an empowered woman, who is equipped with a positive, open-hearted and liberal approach to life.